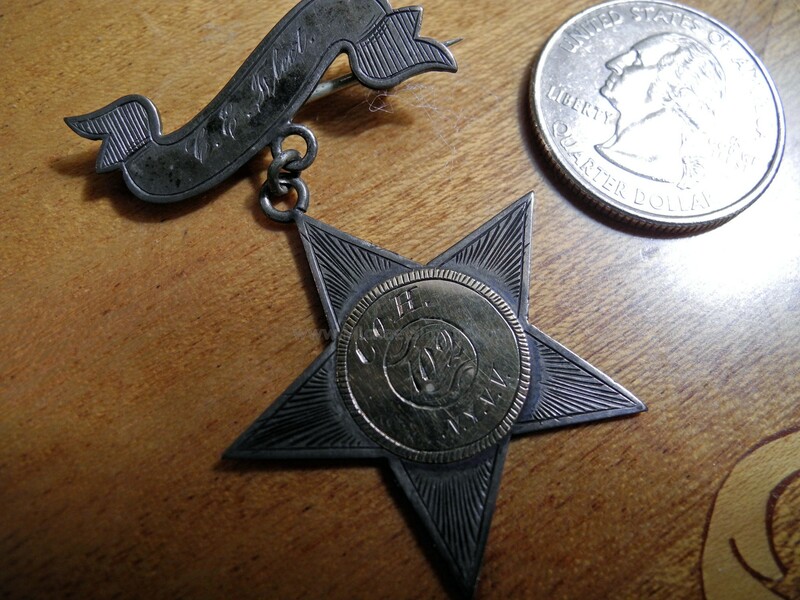 This is a really nice Corps Badge identified to a member of the 102nd New York Infantry, Charles Fleet of Company F. Charles mustered into the 102nd as a private on 12/3/61 and was in for the duration of the war having re-elisted 12/30/63. He mustered out in July of 1865 and reached the rank of Corporal. The 102nd saw plenty of fighting during the war, seeing action at Cedar Mountain, 2nd Bull Run, Antietam, Chancellorsville, and Gettysburg and then headed west to participate in many of the battles of the Atlanta Campaign to include Lookout Mountain, Missionary Ridge, Ringgold Gap, Mill Creek, Resaca, Kennesaw Mountain, Peachtree Creek, the March to Savanna and finally the Carolina's. The medal itself is gorgeous, made of coin or sterling silver with a 12 - 14 carat gold disc on the face. 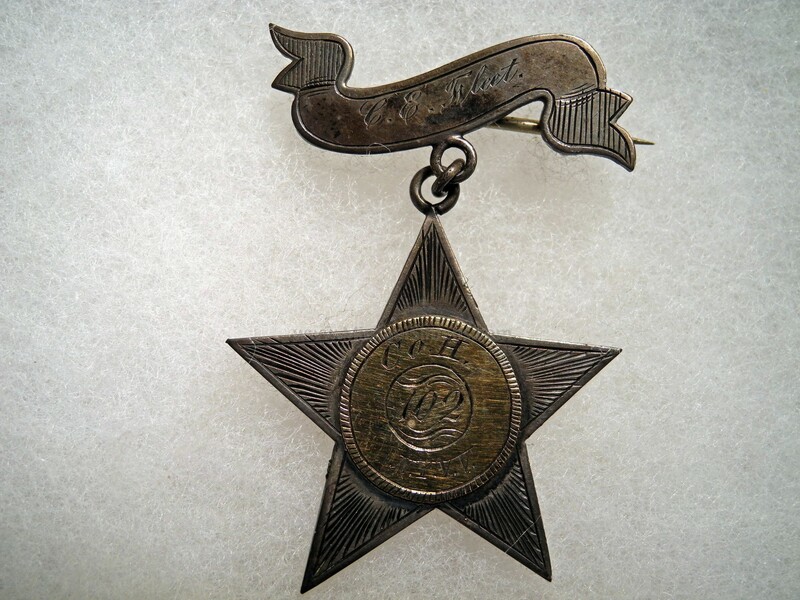 The top pin is inscribed "C. E. Fleet", and the gold disc, "Co. H, 102, N.Y.V.V.". 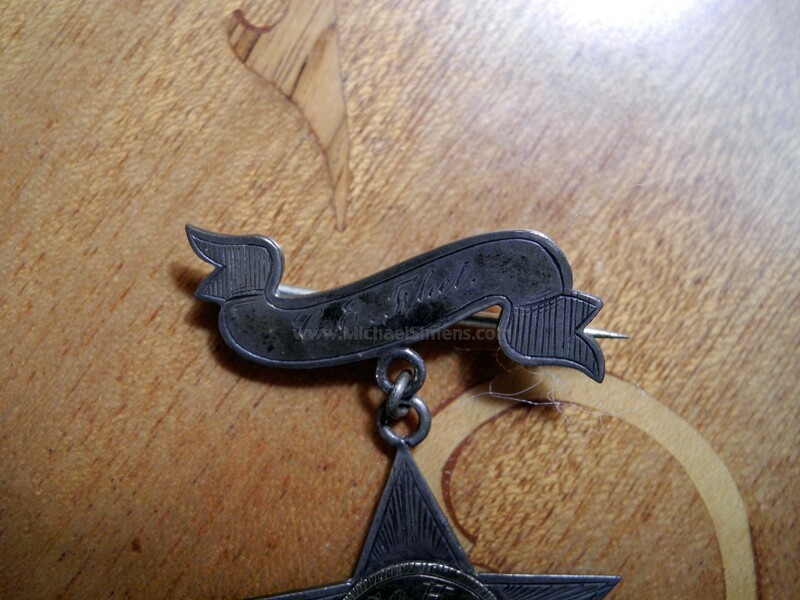 The entire 12th Corps Star surface is hand chased and engraved in decorative motif to enhance its body, the star of The medal does not appear to have ever been cleaned or touched. 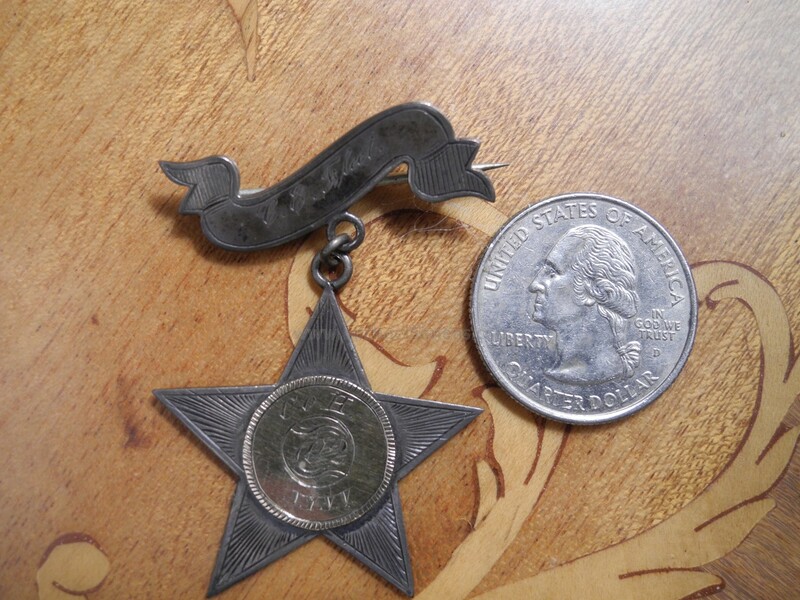 A great Corps Badge Medal about the size of a half-dollar.